On a cold December day back in 2009, slow work led Don Komarechka to photograph his first snowflake. Effective immediately it became his mission to get a photograph of the perfect snowflake. He invested in the proper gear and dove into researching the ins and outs of macro photography. Komarechka’s first year or so shooting macro was mainly filled with frustration. He contemplated giving it up altogether until discovering how to control macro flash and get even closer to his subjects. Once the images started turning out the way he wanted them to, Komarechka set out on an adventure photographing the world around him in a whole new way. This was fueled almost as much by curiosity and excitement as it was a quest to make beautiful images. 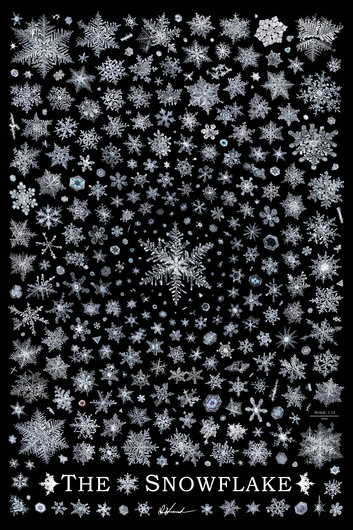 Traditionally, snowflakes are photographed on a piece of glass using light coming from behind. Komarechka wanted a more authentic look to reveal stronger details in surface texture, but that came at a huge cost. If the snowflake was laid flat to the camera's focal plane, a light would need to come from inside the lens to create the proper illumination off the surface of the crystal. 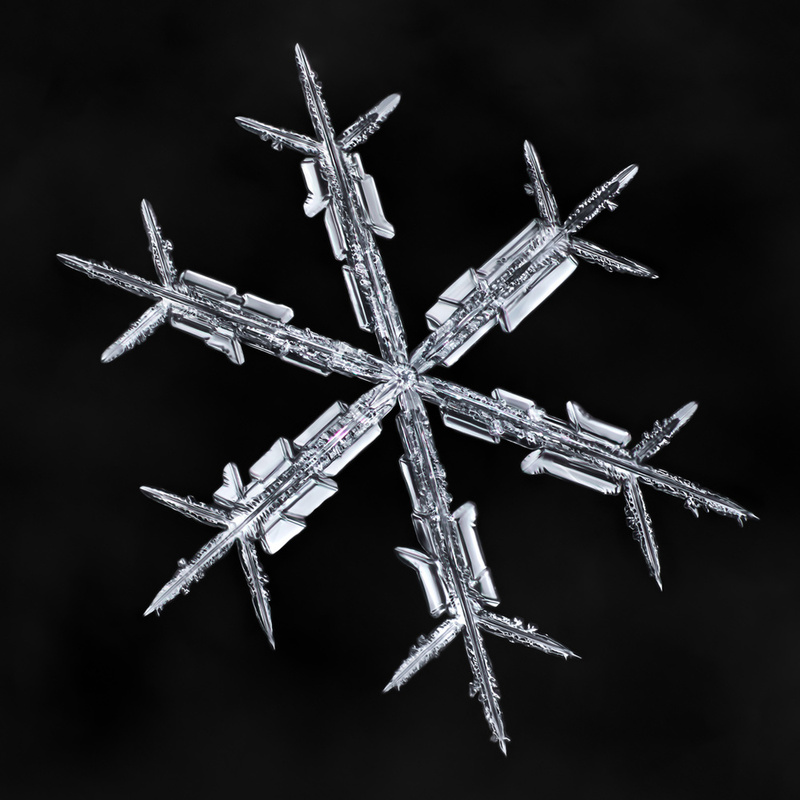 Since that isn't possible, the snowflakes needed to be photographed on an angle. When doing very zoomed in macro photography, subjects photographed on an angle will only have a tiny slice in focus, less than a millimeter across. 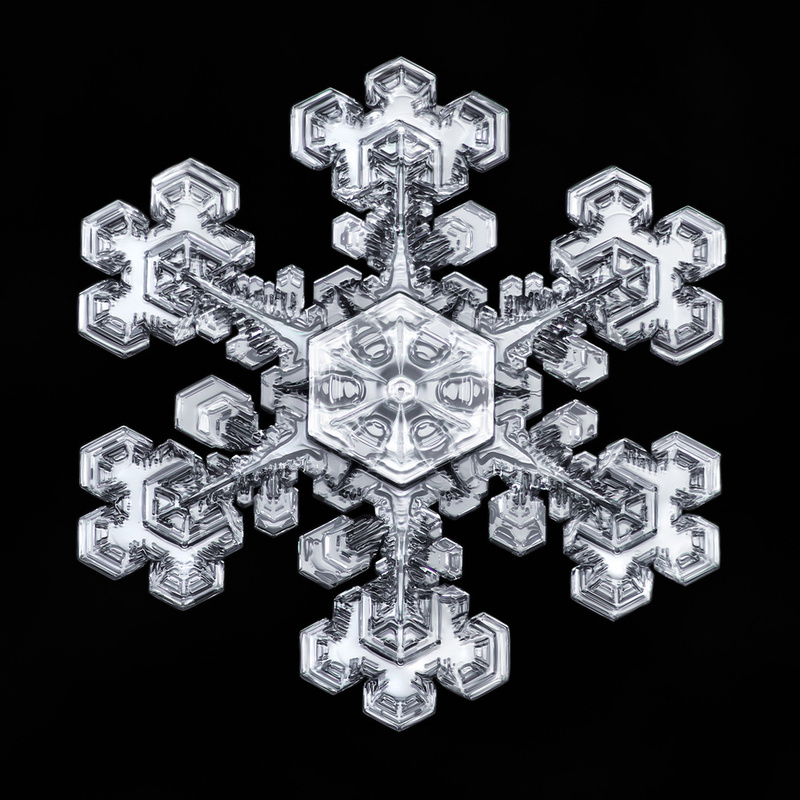 To get the entire snowflake crisp and sharp, focus-stacking techniques are required to combine focus from many different slices. 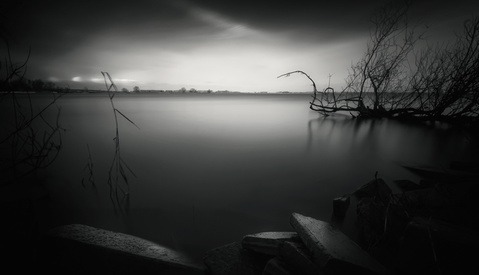 Komarechka notes that an average of about 40 images are required to get all the details he needs for stacking. 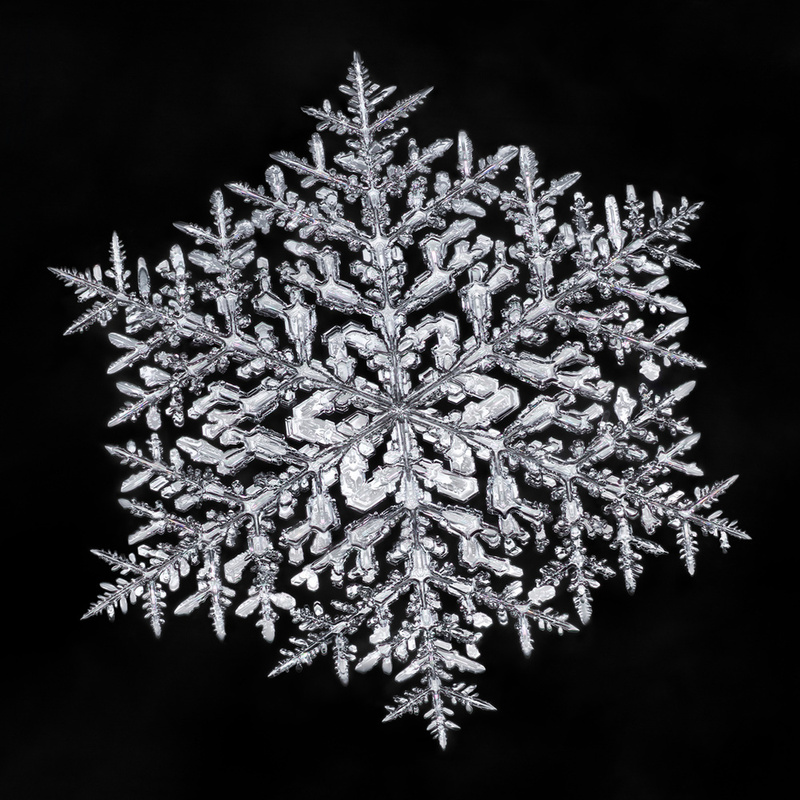 Besides getting the actual snowflake captured sharply in focus, the reflective nature of the ice crystals means there is a number of different looks depending on the position of the camera and ring flash. Komarechka traditionally uses all Canon bodies and a Canon MP-E 65mm f/2.8 1-5x Macro Photo Lens with a Canon MR-14EX II Macro Ring Lite. To achieve even more magnification he turns to a Canon Life-Size Converter EF plus a set of extension tubes. This brings the magnification to an impressive twelve to one. When twelve simply isn’t enough, Komarechka goes well above my head and wallet with what is called a microscope objective lens. He specifically uses the Mitutoyo Plan APO 20x, which appropriately looks like it came straight off of a microscope. Like a lot of great photographers that we all know by name, Komarechka started a project from scratch and over time gained attention, followers, and respect. The project was simple in nature. Publish one snowflake photo a day for 100 days starting December 1st. While this commitment seems simple enough for someone shooting something simple, you have to remember the 40 images needed to make one finalized shot. Komarechka estimates that roughly four hours of post-processing is spent correcting focus stacking errors in an effort to get the best results possible on every snowflake. Despite the challenge faced, he has managed to shoot, edit, and publish more than 70 snowflakes each winter for a number of years now. After initially staying inspired and fulfilled on his own, Komarechka eventually wanted to get more advanced and decided to seek advice from an expert in the snowflake field Ken Libbrecht. Libbrecht could literally be considered the master of the snowflake in that his career has been focused on studying the molecular dynamics of crystal growth, specifically how ice crystals grow from water vapor. Basically the science of snowflakes. 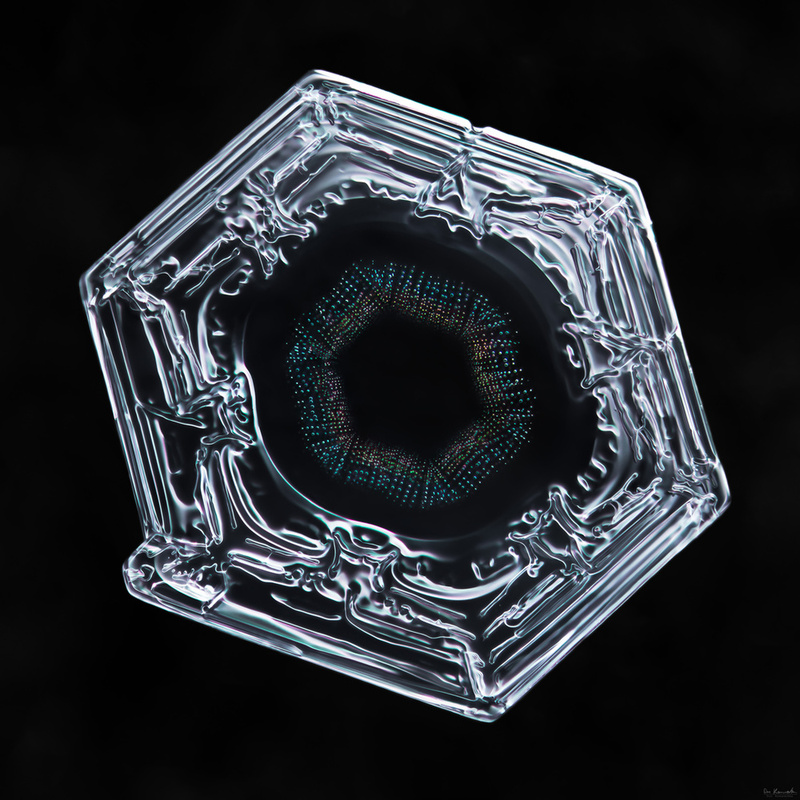 Libbrecht actually grows his own ice crystals to create what he calls designer snowflakes. Once Komarechka realized he was onto something special it was time to get the word out to anyone who would listen. He was able to find a publication called Outdoor Photography Canada Magazine and his collection had grown a regular following. 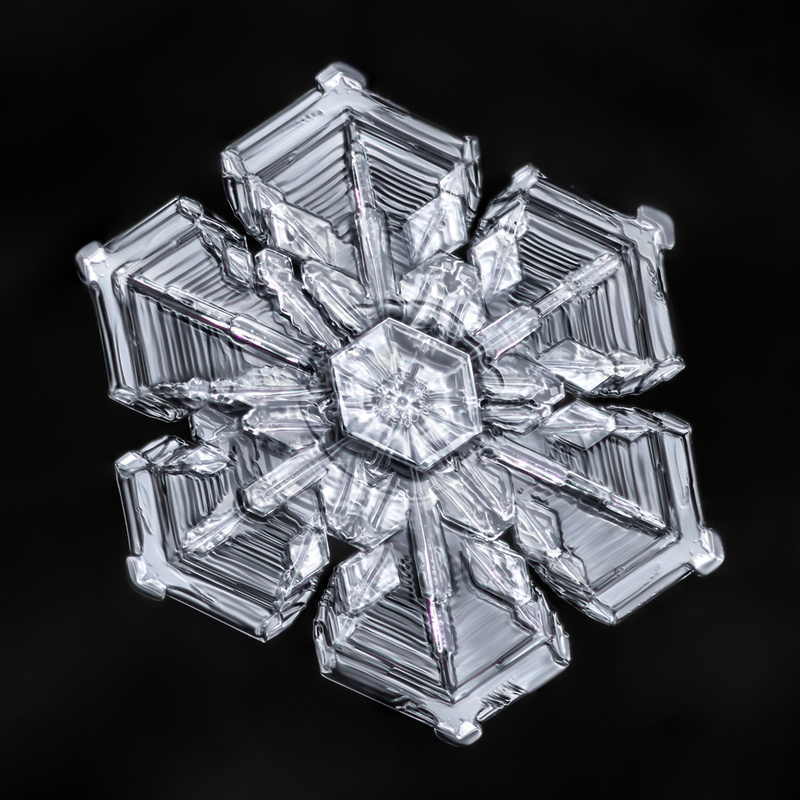 People really enjoyed the daily posting of a unique beautiful snowflake along with some easy to understand scientific explanations behind the crystal growth. 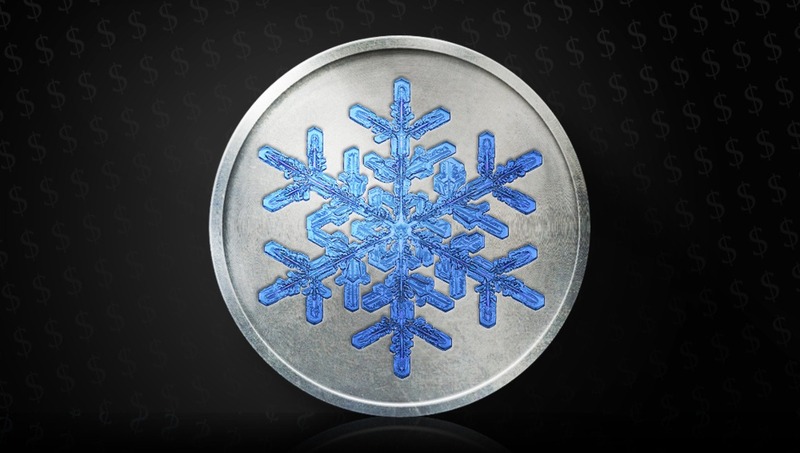 While trying to get the word out on his project, Komarechka saw an opportunity and approached the Royal Canadian Mint about the idea of using a snowflake image on a coin. Their initial response was receptive, but with them already having a number of other designs in the pipeline, it was ultimately a no. For years, Komarechka happened to create photo-realistic illustrations of various coin designs for catalog and web use. After some time, he approached the mint again but this time brought some mock-up imagery. This time they loved the idea and also took an interest in his notable mock-up skills. When the opportunity for a new coin came about, Komarechka was offered the opportunity to submit a snowflake design. His design won! Komarechka worked directly with the mint to bring his photograph to life in a final, beautiful coin. No matter how you feel about it, Canada is winter and winter is Canadian. It’s the big, fluffy, snowflakes that glitter as they meander their way to the ground before making the telltale crunch under our boots we’re all so familiar with. Frozen in blue enamel and finished with a stark proof you’ll want to put your mittens on this coin before February reminds us all just how frigid the winter months can be! Komarechka’s luck and honor would not end with one coin, however. He has since had the honor of a second snowflake coin released as well. Komarechka says staring at his images on Canadian currency is hard to believe. The engravers at the mint did such a fantastic job converting them into pure silver, with a stunning prismatic enamel that truly makes them shimmer like a freshly-fallen snowflake in the field. Very few photographers have the honor of getting their images engraved into currency. Even though these coins are not intended for circulation, they are admired by many collectors worldwide. Canada is often symbolized by their snow and northern winters, and Komarechka is proud that his representation is so widely enjoyed. What About The Other Kind of Money? After a few years of producing one snowflake every day throughout the winter, an idea dawned on Komarechka. The images and the narratives seem to be so well enjoyed, why not build it into a book. 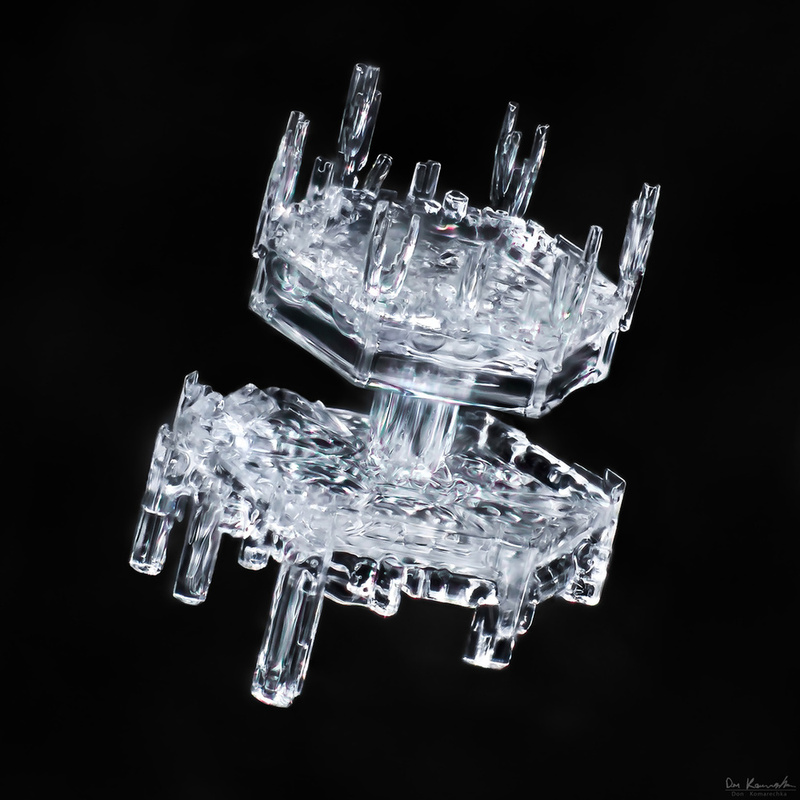 An educational guide that details the puzzle pieces of physics that form these delicate crystal shapes, while also providing a photographic tutorial on how to shoot them. The dream became a reality after a successful crowd-funded campaign for a 304-page hardcover book reached its goal. It wasn't an easy road though. The entire first production runs needed to be scrapped due to substandard results from a recommended web book printing source versus sheet-fed printing by a professional printer. With his reputation on the line, and at the cost of a lot of sleepless nights, Komarechka delivered a what he considered a perfect book to all the backers. In his own words, the book "Sky Crystals: Unraveling the Mysteries of Snowflakes" has been one of the greatest successes in his career. Under 200 books are still available from the original print run of 3000. 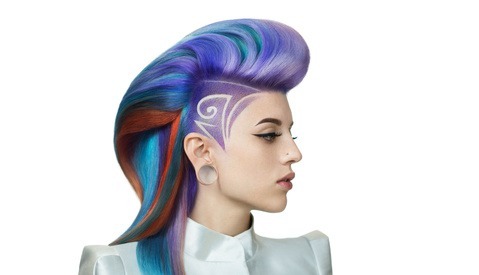 All images used with permission by Don Komarechka. I haven't spent much time on any podcasts. I have heard Don's recommended far and wide, so it might be time to change that! These are some outstanding photos. I really like stories like this. I see too many people saying people can't photograph the same subject over and over without your work getting boring or saying people photograph the same kind of subject too much (fireworks/waterfalls/flowers/same locations/etc), so it's good to have living proof that those statement are gross oversimplifications. P.S. nice firework and waterfall photos! That's a stunning poster. I always just think of snow as a hindrance on my way to work, but you really showed true beauty of each flake, haha. I'm glad you like my photos. I haven't quite figured out what to master, so I don't know if I'll be at your level any time soon. That's a really good point, Jordan McChesney! People rarely put in the time or effort to truly master something anymore. 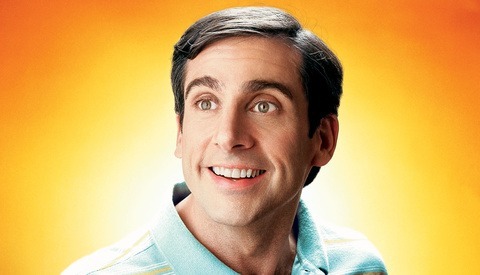 If you can achieve an expert level as Don has, you will earn an audience eager to see what you're up to. I believe anything can be a prefect subject when the person has the right skill, technique, gear, and appreciation for what they are shooting. Personally, I haven't been able to focus on just one thing, partly due to my limited time and resources (I'd love to shoot more waterfalls, but it's expensive to travel around Japan so I can't just focus on them or I'd get 2-3 photos a year) On top of that, things change here every season so it's hard to not just go with the flow of the seasons. I've been focusing on improving my fireworks photography this summer, but I've already had a few people saying I only take photos of them, like it's a bad thing, so it makes me wonder if we've reached a point where people need something completely different all the time to stay interested. I hope to find something I can stick with long enough to master like Don has. I'm currently just trying to learn about as many styles as I can, so I can find what fits me, until that happens, I'll just enjoy the ride! Sorry, perhaps I should have worded it a little better, I need to find something to dedicate time and effort to rather than shooting anything and everything. I guess my current theme is "I love Japan", haha. Luckily fireworks are a big part of the culture here, so there are tons of shows. I've already been to 4 events this year and I'm planning to go to 6 more before the end of the year. The only problem I've found with it is that some people tend to have a negative opinion of fireworks photography because everyone goes there with their cellphones and takes horrible photos. I feel like this has lead to an exhaustion regarding them as a subject. This biggest challenge is finding a composition because events typically draw around 600,000 people. But I enjoy photographing them so I'm spending a lot of time this year improving that regardless of what others think! as for waterfalls, I just love the relaxing nature of them. Also, it's easy to plan trips because the weather doesn't always matter, which is nice because the weather here changes so quickly. This guy's work is so good, this thread hasn't disintegrated into right wing political jokes. :-) Great stuff! Glad you enjoyed, Spy Black.